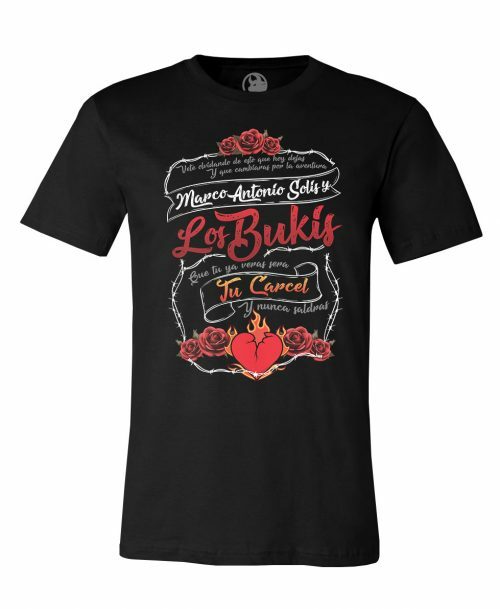 LOS BUKIS LOGO MEXCIO EDITION. 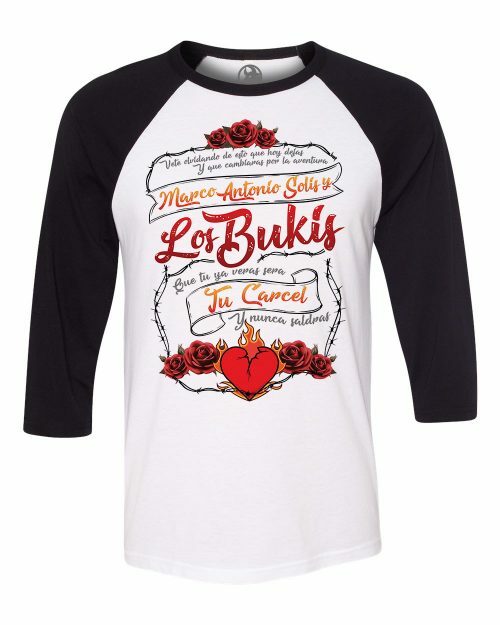 Los Bukis Considered to be the most successful and beloved band in the musica popular Mexicana. This classic logo baseball tee is a nice wardrobe addition for Los Bukis fans.